Most expensive is $100.00. Then $80. Also small ones for $45. Even pendant necklaces for $25. & Buttons for mobiles/laptops for $8. Call 0412120924 and I can send you pictures of the current ones and come up with a package that suits. They say you have to pick your own based on your feelings apon looking at it. if you pick one of the smaller ones others can be added for house round protection. 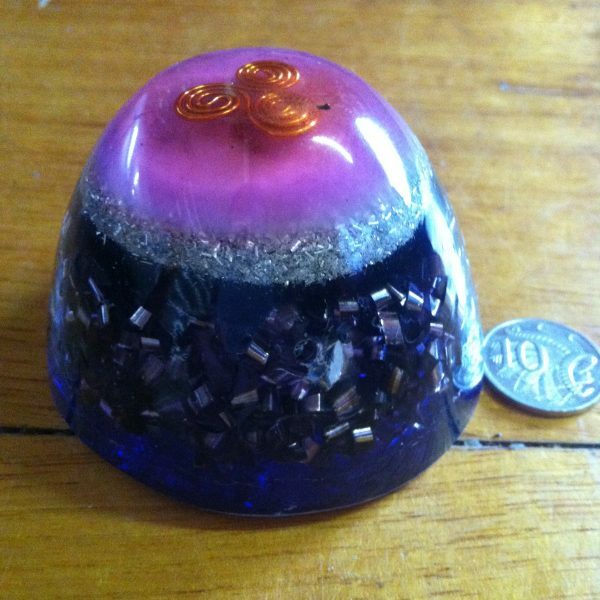 ORGONITE. 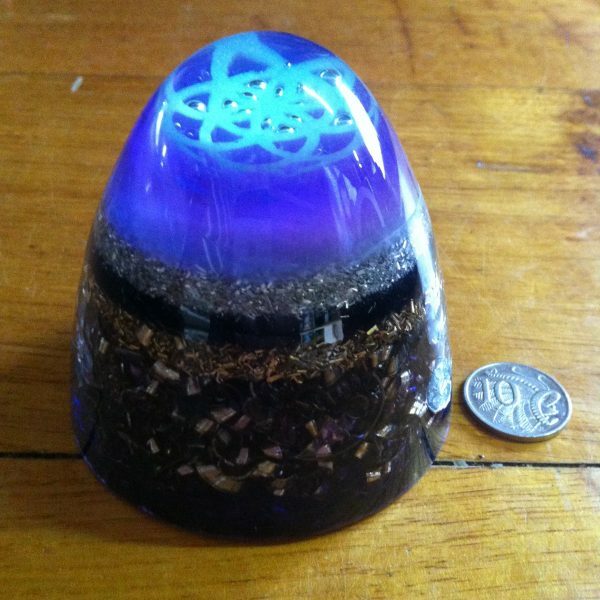 The word orgonite comes from “orgone”, the name given by Wilhelm Reich to vital energy found everywhere in nature. It is life energy, also called Ch’i, Prana, Aether. 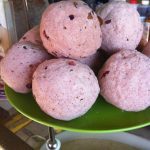 This vital energy exists, in a natural way, under many different forms. 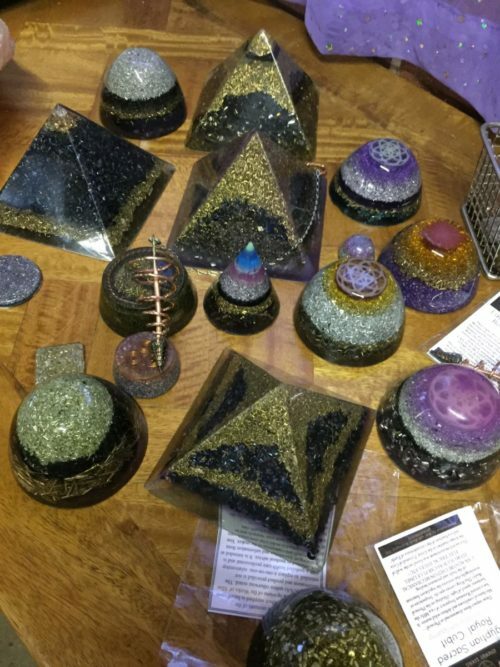 It can be neutral (OR=orgone), positive (POR=positive orgone energy) or negative (DOR = deadly orgone energy). When positive, it enables living organisms to exist in a healthy state. Reich did a lot of research on the properties and behaviors of this energy. 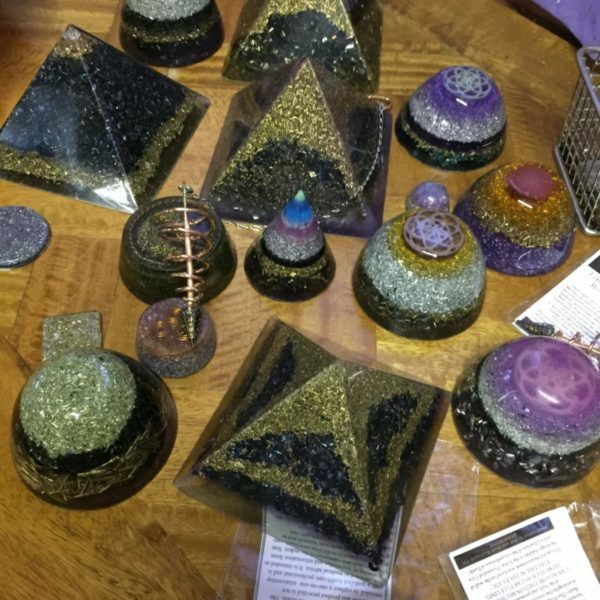 He built an orgone accumulator out of alternate layers of metal and organic material. He also observed that OR was able to neutralize nuclear radiation. DOR energy is primarily human made, by technology, like machines and microwave transmitters, smart meters & all WiFi devices, chemical pollution, physical destruction of the landscape, but also by human emotions. A place where a violent death occurred, for example, will retain the DOR imprint on that location for a long time. A house where the inhabitants have a lot of negative emotional outbursts will also be laden with DOR. 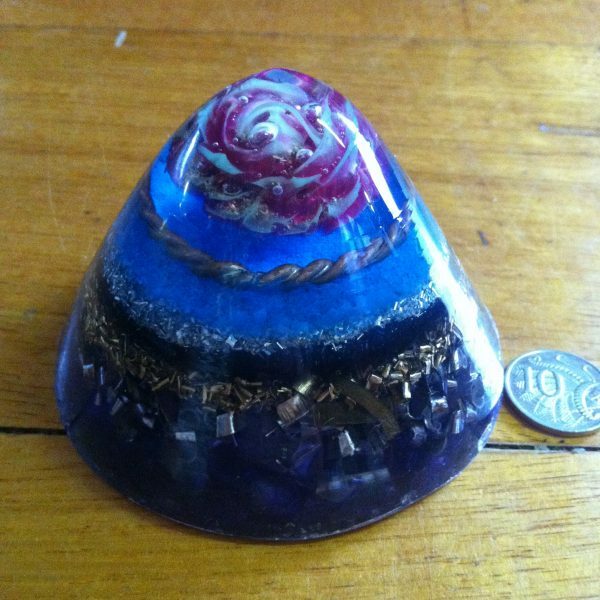 By adding ORGONITE to your surroundings, you are helping convert DOR and create POR. 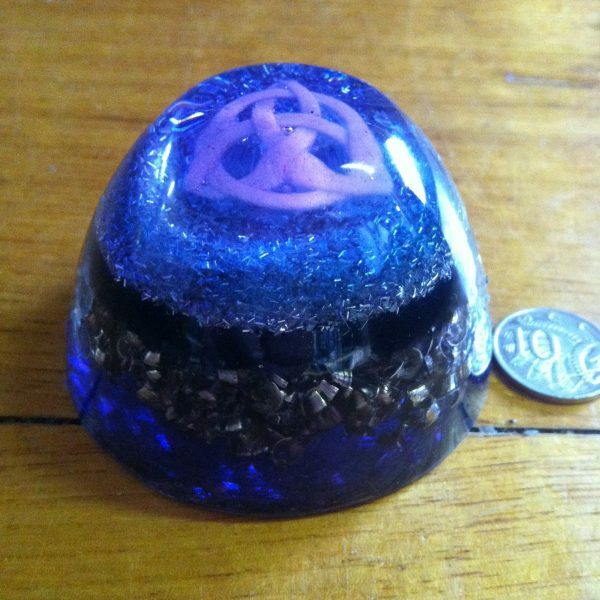 Orgonite is a substance made of a Resin translucent casing, Metals, Organic materials, with a Quartz or similar crystal within it’s centre. 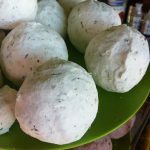 Mitigates harmful effects of EM radiation / smog that is everywhere these days. Turns negative energy into Positive. Helps plants grow better, can repel certain pests. 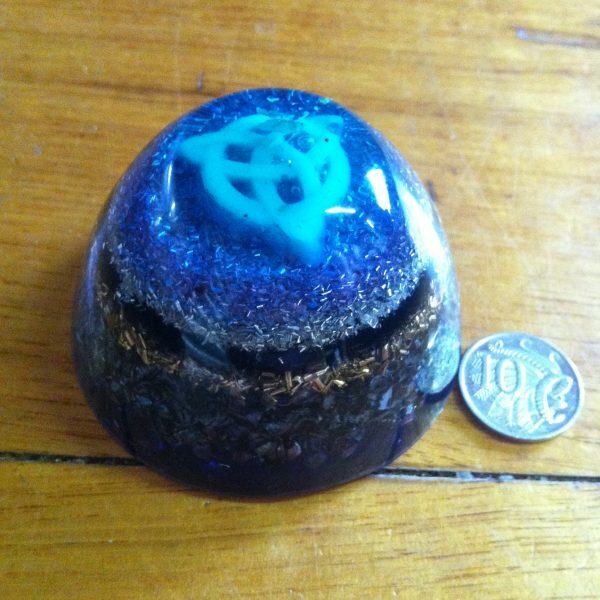 Handmade in Australia by various Orgonite Experts. 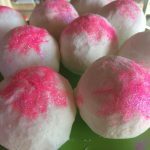 Our range is always selling and changing, and each piece can vary in size and price. Photos are of a current range. 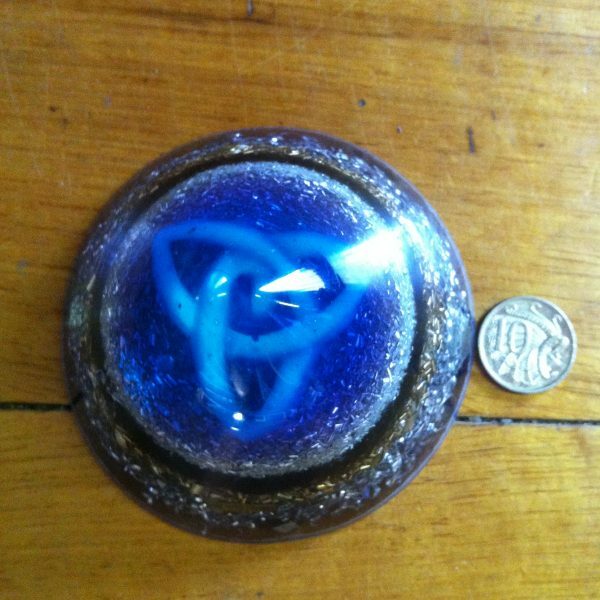 If you like a particular piece, please call /email and enquire before ordering.